Day 3 of the 5 Day Black & White challenge. The rules of this challenge are simple. I will post 5 photos in 5 days and I will invite a different person to join the challenge each day. I am excited to invite fellow Texas blogger Amy, from The World is a Book, to participate in this challenge. She is a gifted photographer. I am frequently surprised by photos shared by Amy of places I have also photographed….yet her photos are of images I never noticed or imagined! Go check out her blog…you won’t be disappointed. This is the “under-side” of the Main Street bridge in Fort Worth Texas. 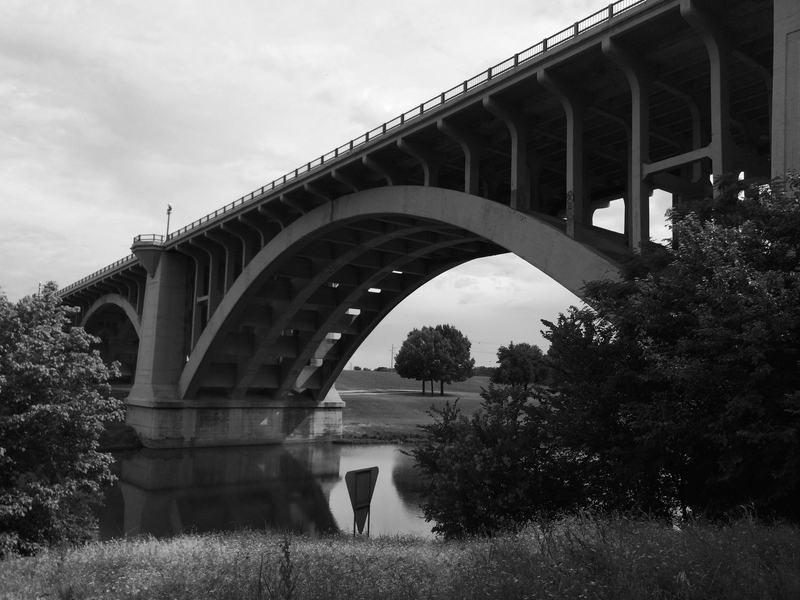 This entry was posted in Uncategorized and tagged B&W challenge, Bridges, Fort Worth TX, photography on February 22, 2015 by treerabold. Great photo for this challenge, Tree! Thank you for your compliment, Tree! I’m in awe of this bridge shot! You are welcome and deserving Amy! !